3D design is a great way to develop and visualise a new shade sail structure. The interplay between multiple sails, the shape of sail "twist" and shade positions at different times of the day and year can all be accurately calculated and presented. 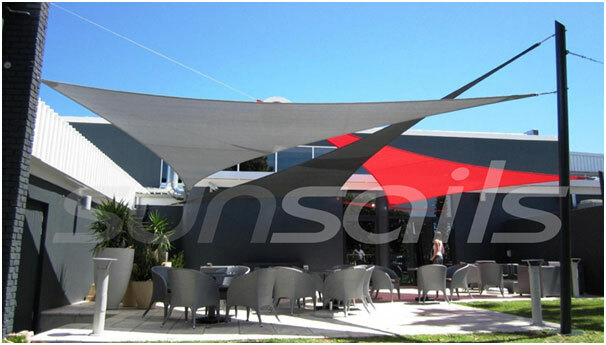 From this you will get a clear impression of what your shade sail structure will look like in real life, and how it should be positioned to provide effective shading according to the brief given to your consultant. Please contact us for a quotation for your project. 2-4 photographs of the area to be covered, from different angles. Basic measurements of the area, including wall heights. North direction, for shadow prediction. If you include the address of the project, we can geo-locate it for accurate shadow prediction within the 3D model.